Are you looking for non-touristy things to do in Vietnam? Ho Chi Minh City (formerly Saigon) was the most non-touristy place that we visited in Vietnam. Since we were in a less touristy place, we focused on doing less touristy things. Read on to find out more about things to do in Ho Chi Minh City that are a bit off the usual tourist trail. The Vietnamese craft beer scene is definitely on the rise. We stopped at Pasteur Street Brewery and Heart of Darkness. 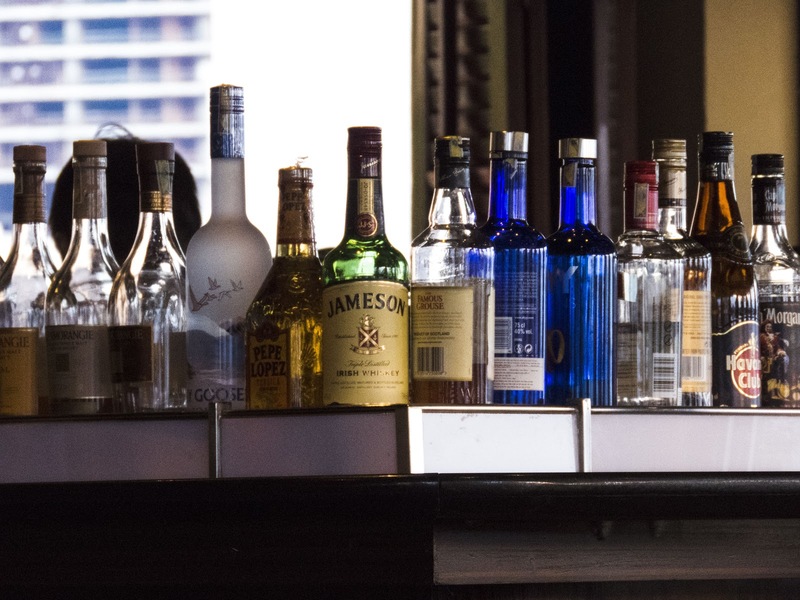 We also discovered a variety of craft beers on offer at Malt Bar. 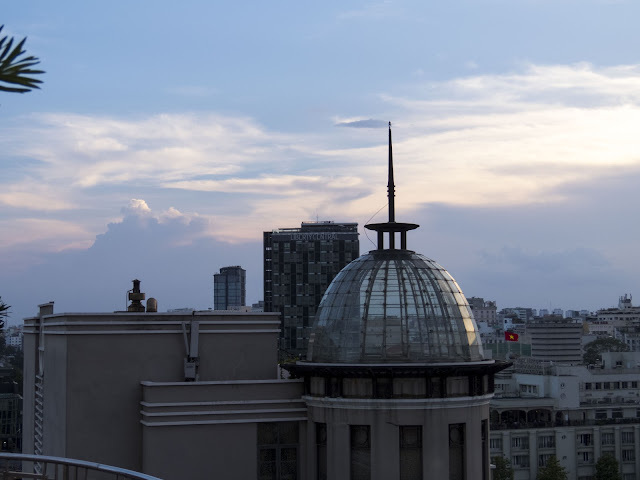 The Caravelle Hotel in Ho Chi Minh City features a rooftop bar. Ride the elevator to the top and stake out a table on the balcony for sunset views with your happy hour cocktail. We discovered a hidden gem of a restaurant in Ho Chi Minh City thanks to Google Maps. 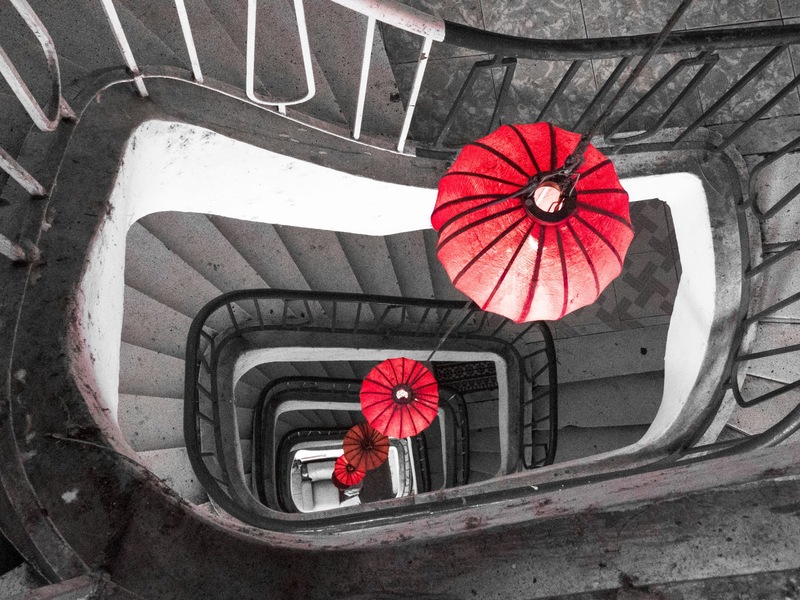 Mountain Retreat is situated five stories up a spiraling staircase with a centerpiece of red lanterns. We were rewarded for our exertions with a gourmet meal; one of the best we had in Vietnam. For as little as $15 USD an hour, you can treat yourself to a Vietnamese foot massage in Ho Chi Minh City. I tried Sỏi Spa located on the top floor of an office building. The atmosphere was relaxed and the spa incredibly clean and hygienic. It's definitely worth taking the time to enjoy the art of Vietnamese maassage. You can find just about anything at Bến Thành Market in Ho Chi Minh City. Take some time, wander around, and be prepared to negotiate. We bargained hard for a pair of cheap shorts. We got them for the equivalent of about $5 USD which seemed like a good deal until they fell apart after one wear. You win some, you lose some. 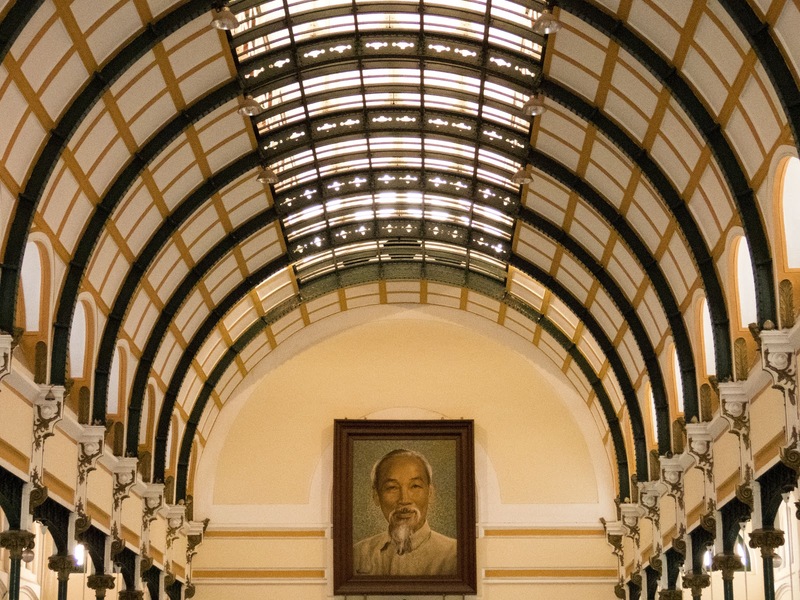 The post office in Ho Chi Minh City boasts some impressive architecture. Come here to mail your postcards beneath a huge portrait of Uncle Ho himself. We ducked into a modern shopping mall in Ho Chi Minh City to get a break from the oppressive May heat. That's when I discovered Boft. You can call up your Instagram account and print out your favorite photos for a small fee. The locals simply love it and this is about as non-touristy as Vietnam gets. In Ho Chi Minh City, coffee shops are a great resource. Not only are they full of caffeinated goodness, they are also generally air-conditioned. We visited Vietnamese chain coffee shops like Highlands Coffee and Korean-based The Coffee House. The Coffee House even featured frozen coffee ice cubes in our iced beverage. Definitely a very refreshing and non-touristy place in Vietnam. In Ho Chi Minh City, the preferred mode of transportation for locals is a motorcycle. I'd never dare drive a motorcycle on the streets of Vietnam but that doesn't mean I wouldn't get on the back of a bike. We signed up for a street food tour with Back of the Bike Tours ($67 per person at the time of writing). We darted through some pretty gnarly traffic as we made our way from one delectable food stall to another. We started with a picnic of green papaya salad and dried beef liver. Spicy quail sandwiches followed at a shop that sells 3000 quails a day. We got to make a Vietnamese pancake before eating one with wine samples. A hearty soup filled in the cracks in our full stomachs. Dessert included coconut jello, flan, and pumpkin custard. We were definitely weighing down the back of the bike more at the end of the evening than at the start! Have you been to Vietnam? 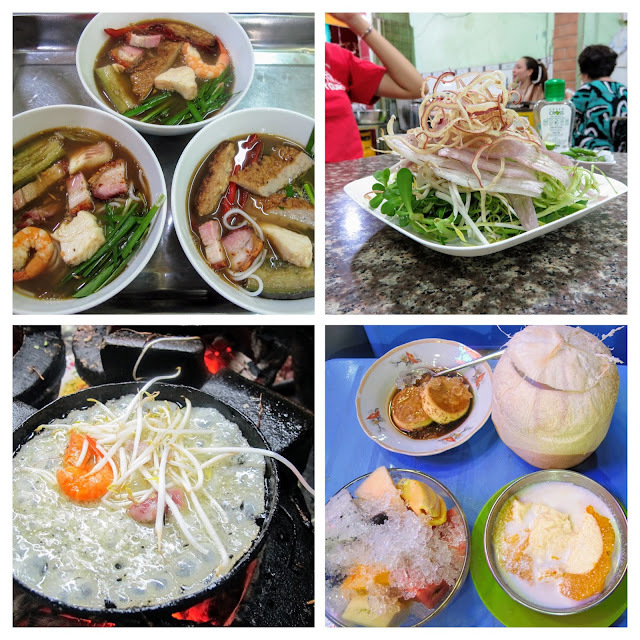 What are your favorite non-touristy things to do in Ho Chi Minh City? For more on things to do in Ho Chi Minh City (albeit things that are a little more touristy but in a sober way), check out: Three Vietnam War Era Sites That Americans Should See On a Trip to Ho Chi Minh City. 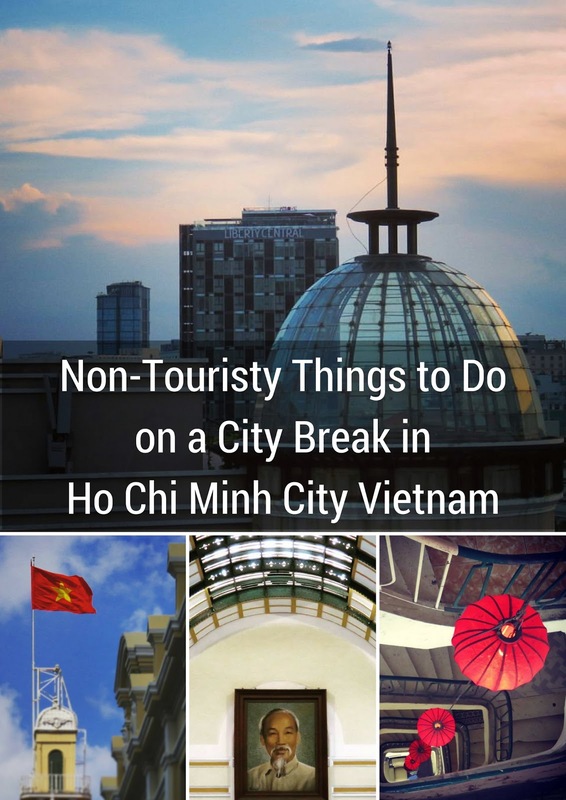 If you enjoy city breaks in Vietnam, read highlights of things to do in Hanoi. Learn about non-touristy things to do in Ho Chi Minh City Vietnam. 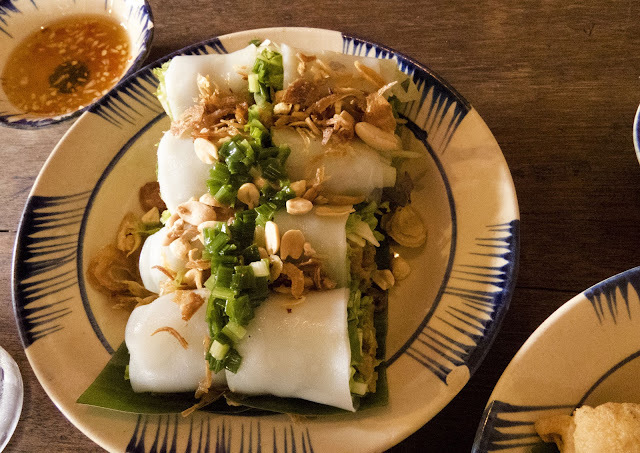 Find non-touristy places to eat, drink, and experience HCMC like a local.